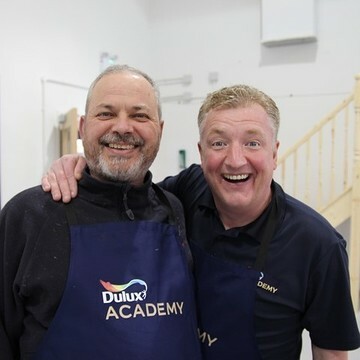 Dulux Academy is the home of painting and decorating excellence. Our team of industry leading experts delivers learning experiences that celebrate our brand portfolio and proud heritage, showcase products and application innovation and embrace technology. At every stage of your decorating career, our courses can deliver increased knowledge and understanding, enabling you to meet your personal and professional ambitions. 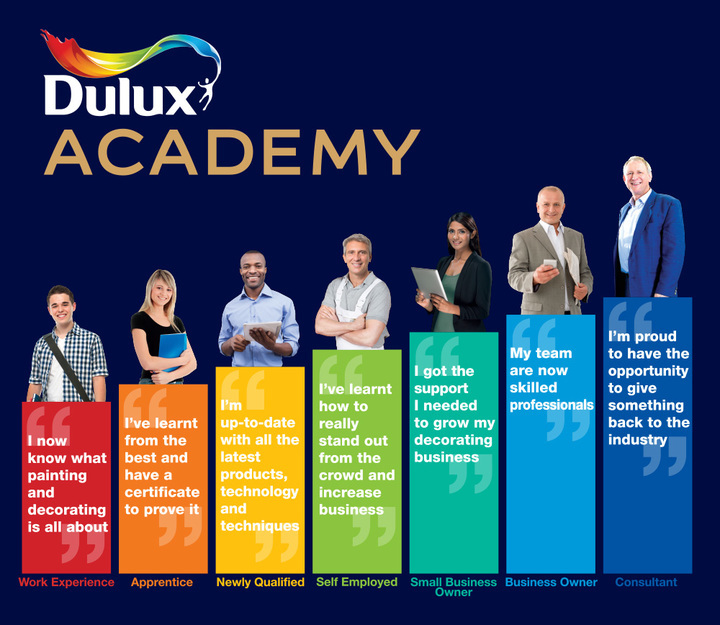 Learning with Dulux Academy is hands-on and engaging, with learning environments designed to maximise your experience, ensuring you gain the most from your attendance. Theory sessions take place in classroom-style rooms where you will be encouraged to share best practice with peers and take part in learning activities that reinforce or consolidate learning. These are supported by interactive demonstrations and, where appropriate, practical application that will enable you to put your new knowledge and skills to the test. While the Course Prospectus endeavours to cover as many aspects of the painting and decorating trade as possible, it is quite possible that your own particular requirements cannot be met by one of our standard courses. For this reason, we are happy to customise or combine courses to deliver tailor-made training that meets your needs. Please contact us to discuss your requirements.